This collection of short fiction from many different authors is based on the following theme: ‘I have a list and a map. 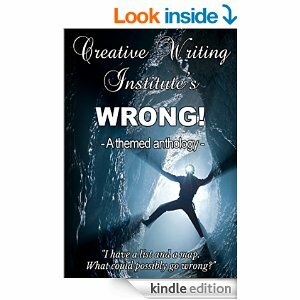 What can possibly go wrong?’ And, of course, these creative authors show the reader just what can go wrong. I confess at this point that I’m a guest author for this anthology, but as only one of thirty-six writers, I think I can justifiably review the stories. And what a mixed bunch of offerings there are here. There is something for all tastes, though most of the tales hold an element of romance. Many different writing styles and such individual takes on the set theme make this a very wide-ranging read. I enjoyed all of the stories presented in this book. If you’re looking for some short fiction to enliven your coffee break or that boring journey by public transport, this is the book for you. And the proceeds go to a good cause, so you’ll not only be doing yourself a favour, but helping out those who have encountered cancer. Enjoy! Tips on Word Choice No.19: Ruled by Intellect or Emotion?